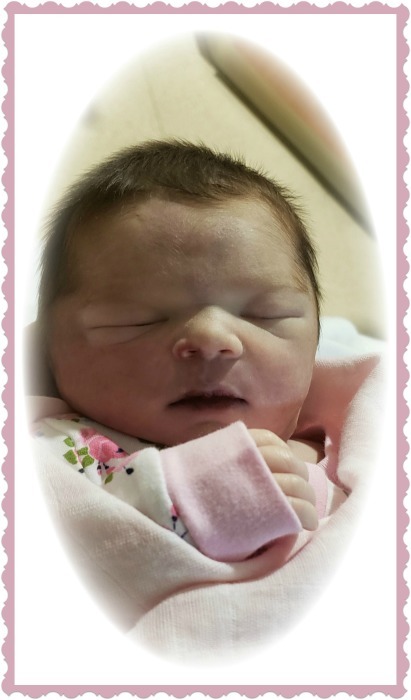 Arabella Ray "Baby Bella" Barbour, infant daughter of Andre and Angela Fulkerson Barbour, of Canmer, KY, passed away Wednesday, April 3, 2019, at Norton Hospital in Louisville, KY. In addition to her parents, she is survived by two sisters, Lexie and Alyssa Barbour of Canmer, KY; maternal grandmother, Elaine Smith, Bardstown, KY, and paternal grandparents, Rev. Douglas and Maggie Barbour, Canmer, KY. She was preceded in death by her maternal grandfather, Benny Fulkerson. The family will receive friends from 6:00 to 8:00 p.m. CT, Sunday, April 7, 2019 and from 9:00 to 11:00 a.m. CT, Monday, April 8, 2019 at Brooks Funeral Home. Funeral service will be 11:00 a.m. CT, Monday, April 8, 2019 at Brooks Funeral Home with Rev. Douglas Barbour, Rev. Billy Curle, Rev. Scott Curle and Pastor Greg Farrell officiating. Interment will be at Mt. Gilboa Cemetery, Canmer, KY.
Memorial contributions can be made to Brooks Funeral Home for funeral expenses.